I believe that we did this job in 2006. 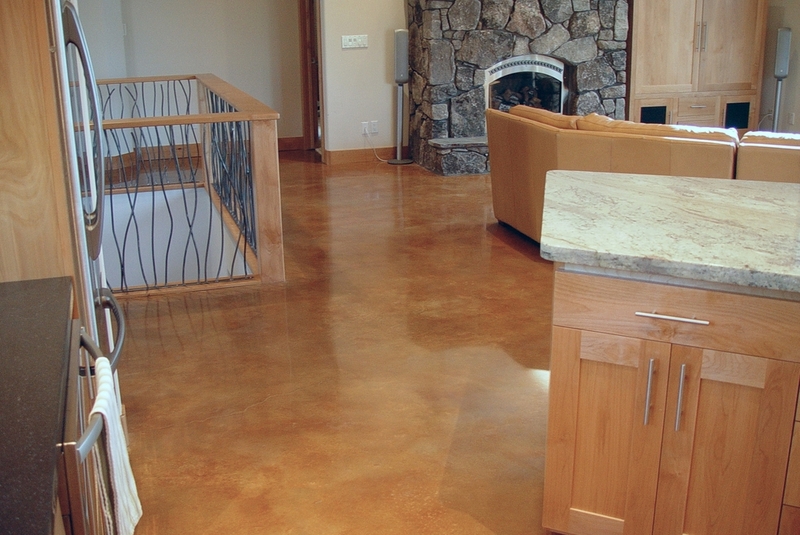 This project was our 2nd acid-stained & polished concrete job. The concrete had color added to the mix. 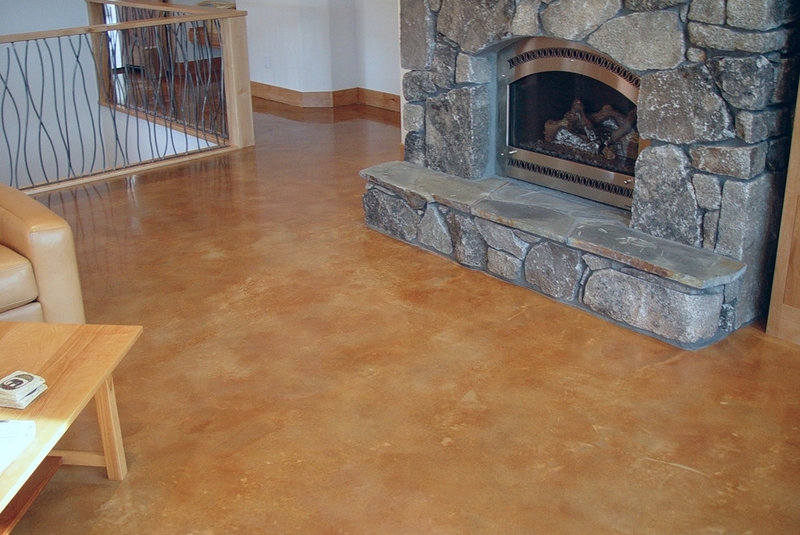 Thank God we did a cream finish (no rocks). It is just fine sand exposure on the initial grind, then polished to around the #800 grit level for a final gloss. 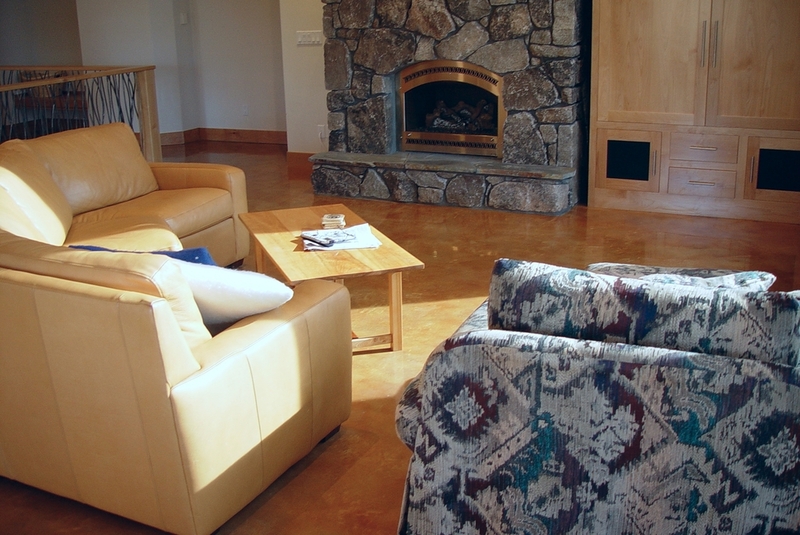 The owners claim that the floor looks as good today as 9 or 10 years ago with very little maintenance that involves dust mopping and an occasional wet mop with pH balanced, no-rinse cleaner. I get a smile when i see how young my son was at the time of this job and the tiny machine we were using to polish with. 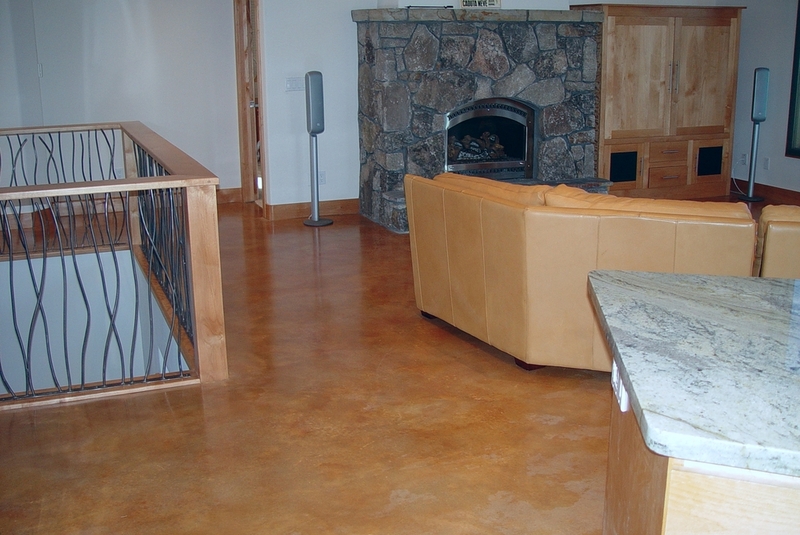 The polishing project is an acid stained project we did in 2005. 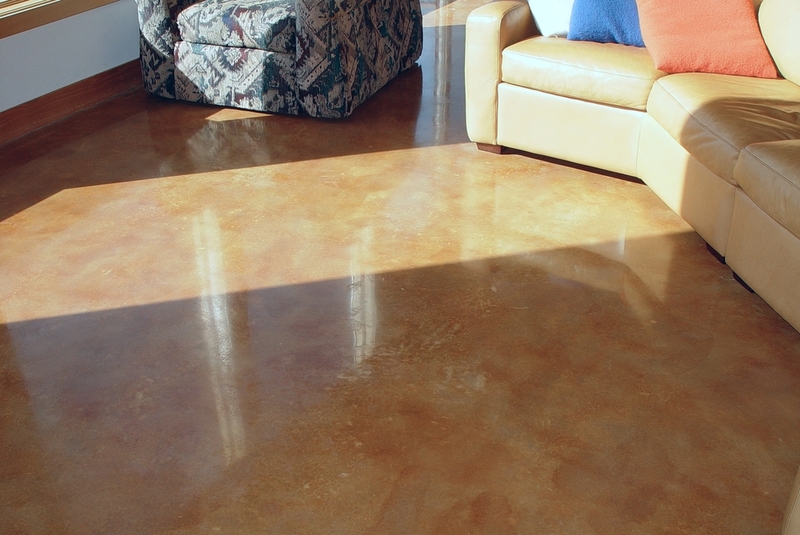 It is one of our first polishing residential projects.